A couple of months back, The Trusts published their annual reports for 2017/18. They came in a 3-pack this year: two sets of financial statements (one for each licensing trust) plus a joint President’s report. There’s lots of interesting stuff in there and I’ll try to cover the best bits in this post. They know we’re coming and they’re ready to fight! It’s true that we could do more to promote ourselves. We have had contact recently from people concerned about the impact of a referendum who suggest we should promote further the good we do and ensure more people are better informed about the significant benefits The Trusts model brings for a community. If it came to a referendum we will work hard and spend accordingly to make sure our community is making an informed decision based on results, not conjecture or loose opinion. Obviously, we’d prefer not to have to spend that money promoting what the majority know is a great model with a history of making a difference in West Auckland. We are taking this feedback onboard and we’ll do more to “accentuate the positive” (to coin an old phrase) in coming months. 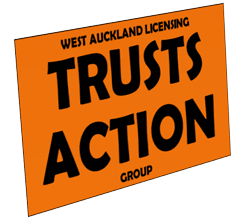 Feedback certainly highlights a need to do more in the communications area to ensure those that want to be informed about The Trusts model have a reliable source of the truth about the difference a Trusts model makes to West Auckland. They clearly see themselves as the good guy and the bringer of truth to this debate (or at least are casting themselves in that light). We can probably also assume that this blog is an example of the “conjecture and loose opinions” that they talk about. Interestingly, they are already flagging that they’ll increase their spend on self-promotion (albeit begrudgingly). It makes me rather angry that The Trusts are free to campaign using community money to protect their monopoly. Those of us who’d like to see the monopoly lifted are just as much part of the community as the monopolists. Where are our community funds for marketing? Not only do we pay a little extra for our booze, but we also have to dip into our pockets to fund a campaign to fix it? Sure, if the supermarkets decide to launch their own campaign it would be appropriate for The Trusts to level the playing field. But this isn’t the supermarkets. This is a bunch of fed-up punters. Getting even more fed-up. Although they cited commercial sensitivity to refuse our official information request about any planned openings, they have helpfully given some details of stores and venues they are planning to open in the President’s report (some have opened now already). We’ll take a more detailed look at the Te Atatu bottle store and gastrobar in a future post. The Trusts are to be applauded for trying to provide some useful analysis in this year’s reports. 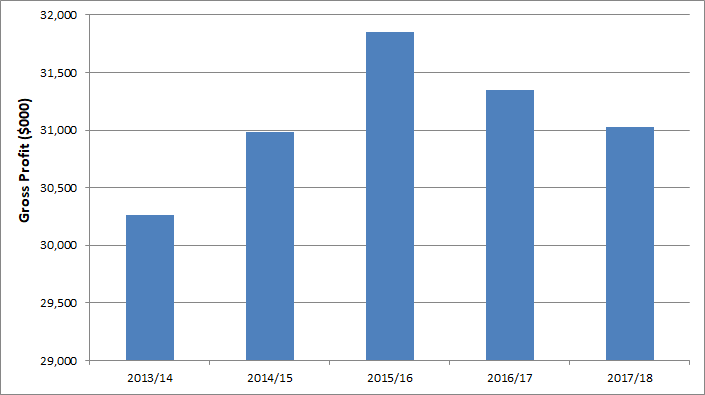 In prior years, no such information was included and whilst it’s still not great, it is a massive improvement on prior years. A breakdown between retail / hospitality / investment is brilliant, and is information that we’ve previously requested from them and been refused. What’s not brilliant is the somewhat unusual definition of EBITDA (earnings before interest, tax, depreciation and amortization) that they’ve used. Using a conventional definition, the difference between the two rightmost columns would simply be interest, tax, depreciation and amortization. But in this case there is an additional $6M unaccounted for. We’ve officially requested an explanation for that $6M, but again the Trusts have failed to provide any information. Until we get an answer, I think we can safely assume that the $6M are corporate costs which aren’t attributable to any of those 3 sectors. That probably includes $1M of ‘giving back’, and the rest will be head office costs such as corporate salaries and costs such as the CEO / Finance / HR / IT and payments to the WATS board. Despite the shortcomings of the data, we can still see which parts of The Trusts are doing well. Remember that there are approximately $8M of unallocated costs that these different parts of the business need to cover before they break even. We’ve argued it before, and this illustrates it again, that without the pokie rents The Trusts booze business only just covers their overheads. It is their investments – which are completely unaffected by the monopoly – which deliver the funds for giving back. Even less flash. 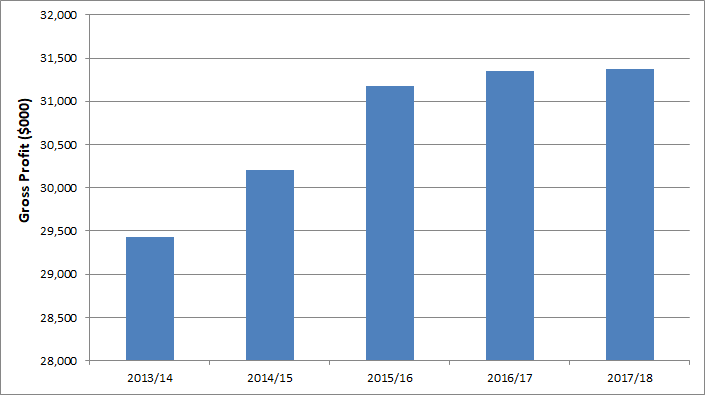 And when you consider the population growth in West Auckland over this period, they must be losing some serious market share. Things are not so rosy after all. This is what they had to say about their plan for the future. Our Future Benefaction Strategy aims to build an investment base that adds to the retail and hospitality businesses so we’re able to reliably give back more in future. Our aim to get over $200M invested by 2030 means West Auckland will be receiving, on a sustainable basis, at least $5M every year in future. This year we will give back over $2 million directly to the local community and we’re on track to give back $5 million per year by 2020. There are shades of the 2003 campaign here. In November 2002 The Trusts said donations of $50M over the next 10 years would only happen if they kept the monopoly. Just two months later that promise had changed to $80M (NZ Herald). What did we actually get? Not very much at all. When these sales are recognized in the financials, the capital gains will inflate their profit figures for that year. So we can probably look forward to The Trusts trumpeting a fantastic profit result around August next year – which might be just ahead of the referendum. Let’s hope the public aren’t fooled.